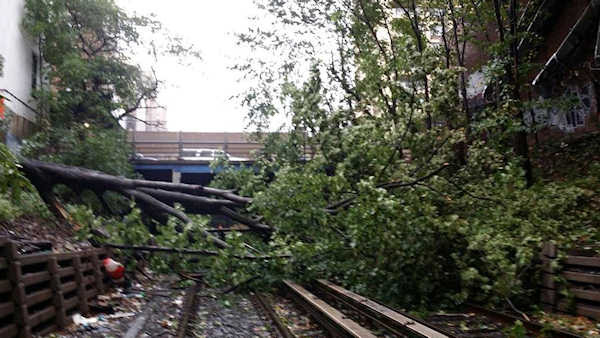 NEW YORK (WABC) -- A fallen tree knocked out service to the Franklin Avenue Shuttle, but it has since been restored. Service had been suspended at the Botanic Garden Station in Crown Heights, Brooklyn. The tree fell across both tracks. Crews worked for hours Friday night to remove it.